The team here at AusNS2 are excited to bring you guys another season for the AusNS2 League this year! Teams of all skill levels can fight it out in a round robin format similar to that of Season 2 from earlier in the year. This time around however we will be using the 2nd Revision of the Competitive Mod as default for the entirety of the season. We will be providing a forum thread with all of the rule changes within the next few days. We are really looking forward to teams of all skill levels joining up and getting involved! To create a team, click on the 'League' tab on the top of the webpage, and then scroll down to the 'Create a Team' link. Follow the prompts and you should be all set! To join the Season with a pre-existing team just click on the 'League' tab on the top of the webpage and scroll down to find the 'Sign team up for Season' link on the League homepage. If you have any questions feel free to comment on this thread or message myself, bonage, Taz or Zimoi about the upcoming Season. Congratulations to all the teams that participated in the AusNS2 Rising Stars tournament! It was a blast to watch all of you guys battling it out to win the coveted Rising Star championship and accompanying AusNS2 forum badge! For those of you that missed it here was the final scorecard! Congratulations to Intent for winning the Rising Stars Tournament with -/AUS/- taking 2nd place in the grueling Bo5 Grand Final. 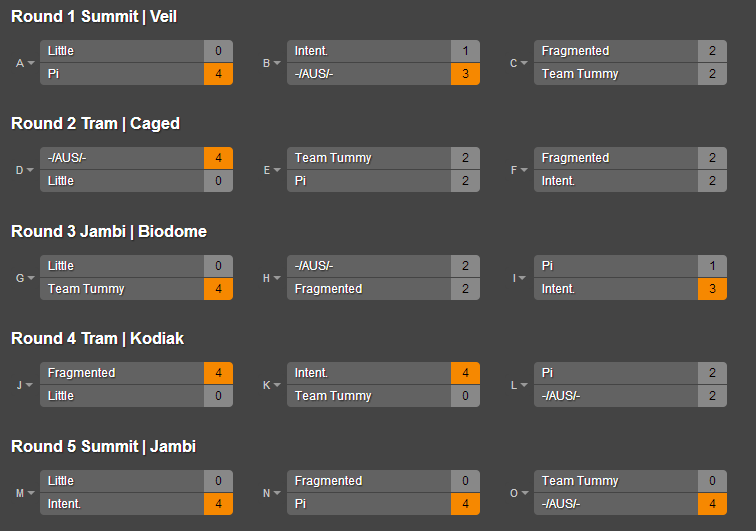 Here is the Bo5 match casted by Tumhole, Jekt and bonage! Thank you guys for your continued support of AusNS2!